Successfully saved Low Sugar Raspberry Smoothie to your Calendar. You can also save the ingredients to your Grocery List. 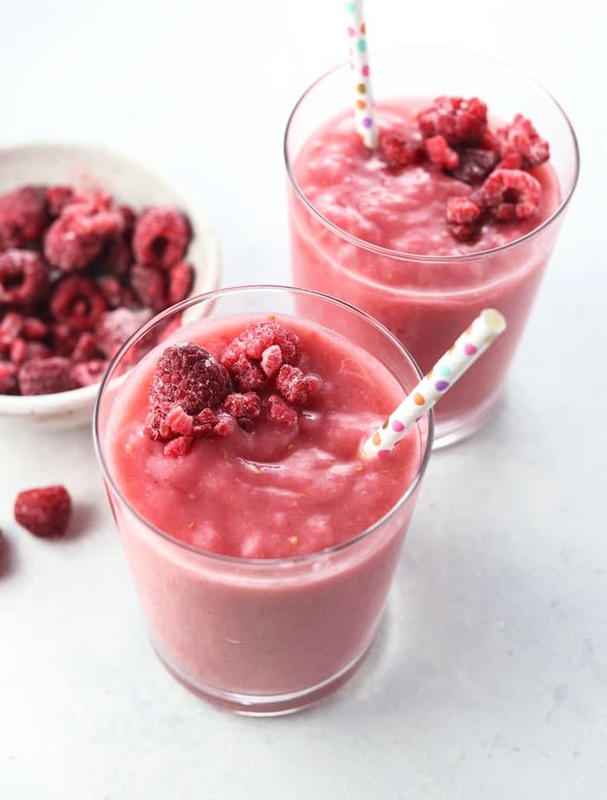 FRESH FRUIT | Gluten-free, Dairy-free, Nut-free, Soy-free, Egg-free, VeganThis raspberry smoothie is a great low-sugar option for those following a low carb diet. It gets its creamy texture from frozen cauliflower and avocado!